Starting to write a Blog can change you and your ambitions. To start blogging you need to create a blog on blogging platform like Blogger, Wordpress, Tumblr etc. 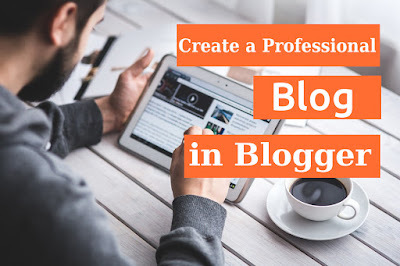 But before creating a professional blog on Blogger lets know something. Why blogging? What is the important of blogging? Some reasons for why you should blog. 1. Promote yourself: Blogging is now the most popular platform to promote yourself and your business. 2. Blogging for Business: Blogging is the best way to promote your business, get idea from client, discuss about client satisfaction and what expect client from your goods and services. 3. To divert yourself from bad habit or addiction: If you are addicted to other, blogging will divert your addiction to here. If you start once with your favorite topic in which you get fun, by doing you become happy, it can be said honestly, you will not give up blogging. 4. Choosing better career and making yourself: If your willing is about writing and you want to make your career as a freelancing writer, blogging will help you to build yourself and promote yourself to million clients who are searching a good writer to make their content. Similarly for any creative activities. 5. More Income: If you want to make money online, blogging is the most perfect earning platform by showing advertisement, affiliate marketing, selling own products (such as ebook, web template, theme etc.). 6. Skill developing and keep update yourself: Blogging makes a blogger more skilled and will help to keep update yourself. Because blogging helps to keep up practicing and introduced blogger with the latest world, with the latest technology. The thirsty for knowing is obviously precondition to gain. 7. Share, learn and join community: It is good practicing share with others what you have learned. Sharing with others about a topic in blog will make a community for you to discuss each other and put valuable comment. There are a lot of reasons for blogging. But I blog for my soul, for my passion. It gives me pleasure as much I hope, I desire. Wordpress and Blogger are the most popular blogging platform. In this article we will learn to create a blog in Blogger platform. But you can check - Which is better: Blogger vs Wordpress to make money . 1. Blogger is the product of Google. 2. Blogger provides free subdomain (with extension blogspot.com) and free hosting where blogging in Wordpress or others you have to pay per month $2.5-$3 for hosting your blog site. 4. User interface of Blogger is easier. 5. 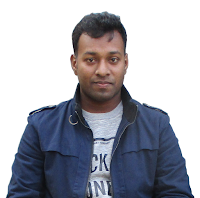 You can install template/ blogger theme. A huge collection of free and premium blogger templates are available. 6. You can earning with Google Adsense. You can request Google Adsense (Hosted account ) and it will take less time and less condition to approve your Google Adsense request. You can also request of non-hosted Google Adsense after satisfying terms and conditions. Go to and see the features of Blogger owned by Google. So lets start blogging with Blogger. To create a blog site you must have a verified Google account. If you don't have a Google account, sign-up in Google and get a verifed Google account from here and it is easy. Go to Blogger.com and click on "Create a blog". After clicking the given link you will see the following window to choose a sub-domain and put your blog title. Title: Give your blog title. Example: "A blog about poem, story", "A blog about cooking" etc. Template: Choose a template/theme for your blog site. After creating blog you can change this. So now choose one of them. You can check the latest professional and excellent Blogger Theme/Templates are released by Blogger officially from here. After finishing the three click on "Create a blog" to finalize your blog. Wow ! You have created your blog. 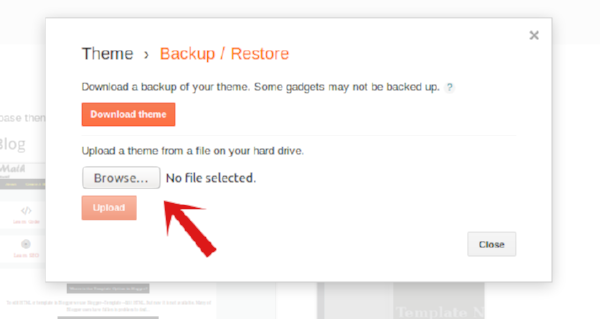 Then you will see an option "Backup/Restore" marked by arrow and click on. Next a pop up box with uploading option will be shown like below. 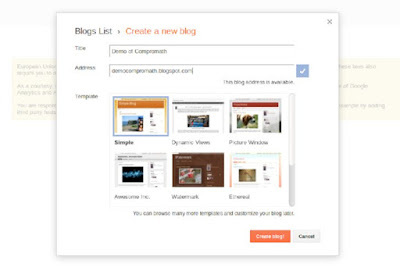 Now browse and upload your Blogger Template or Theme XML file from your computer. Then 'Save' button for saving your template setting. Backup your template/theme before installing new template/theme. To backup click on "Download theme" option and save your XML template file in your computer. To get better outlook of your blog and better traffic, you need to customize your template/theme. You can do it by yourself or by hired experts. Tutorials will help you to customize Blogger Theme/Template from here. Recommended: Have You Done This in Your Blogger Blog Site? Low traffic? Improve your search engine optimization ranking. Do you want to share something with this community? Put your comment below.